According to UK PRINCE2® ATO statistics provided by APMG-International, for January to June 2014: Raj Khanna Associates Limited have one of the two highest scoring percentage pass rates out of the top 10 ATOs for PRINCE2® Foundation only examinations. RKA and one other ATO got 99% pass rate and the rest of the ATOs were below this figure. The national average for PRINCE2® Foundation pass in the UK is 96.4% and out of the top 10 ATOs (in terms of number of examinations conducted) only 6 exceeded the national average. And for PRINCE2® Practitioner examination, Raj Khanna Associates Limited has the single highest scoring pass rate at 80%. Of all top ten ATOs (based on number of examinations conducted), nearest to us is 78%. National average for PRINCE2® Practitioner pass in the UK pass rate is 73.4% and in the top 10 ATO's only 5 out of the 10 achieved this. Raj Khanna Associates provides both public and on-site courses. We have also formed partnerships with other training providers both in the United Kingdom and abroad to provide training and consultancy. 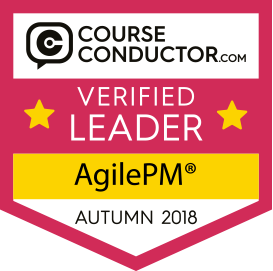 We provide a wide variety of APMG accredited training courses including: MSP®, PRINCE2®, ITIL®, P3O®, Change Management™, Benefit Management™, Agile Project Management and PRINCE2@ Agile . We also provide Maturity Level Assessment, Consultancy and mentoring in Programme and Project Management. Please contact us on enquiry@rkhanna.co.uk for further details or alternatively call us on 0044-2476-384070. We can also provide courses that can be tailored to suit individual needs. We have recently provided an accredited course combining the key principles of Managing Successful Programmes (MSP) and PRINCE2. Please contact us on enquiry@rkhanna.co.uk for further details or alternatively call us on 0044-2476-384070.